New Delicious Treats from @otis_spunkmeyer! One of my favorite things to watch happen in the food industry is when a company realizes that some of their ingredients are harmful, icky and not needed in their foods and they MAKE A CHANGE! I have loved watching Otis Spunkmeyer, one of my absolutely favorite treats brands, make this change and it has made me and my body SO HAPPY! Their baked goods are still absolutely DELICIOUS but they have the “No Funky Stuff” promise, meaning no artificial flavors, colors or high-fructose corn syrup. Otis Spunkmeyer is also turning 40 this year and they are celebrating with some new foods in April and others continuing throughout the year. From Mini Brownie Bites and Frozen Cookie Dough, to new Loaf Cakes and seasonal foods, Otis Spunkmeyer is excited to expand their popular retail line that launched in 2016. All the new foods will have this same “No Funky Stuff”promise! 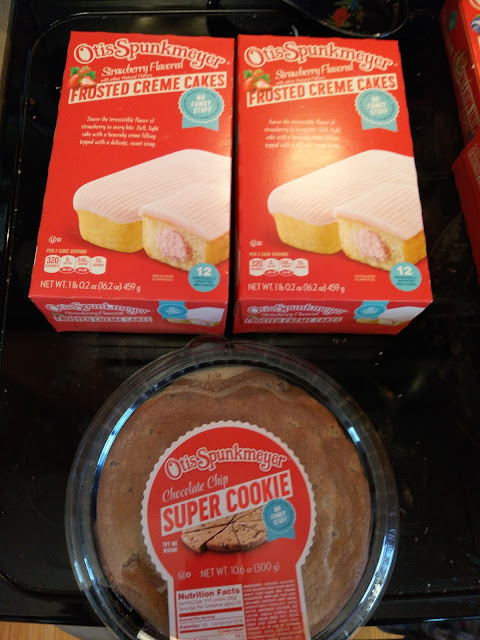 The first two new foods, Super Cookies and Strawberry Crème Cakes will be launching in early April and I can tell you from experience - THEY ARE DELICIOUS! My husband loves two things - strawberry and cake so the Strawberry Creme Cakes quickly became his favorite. And for me, the Super Cookie was a dream come true! 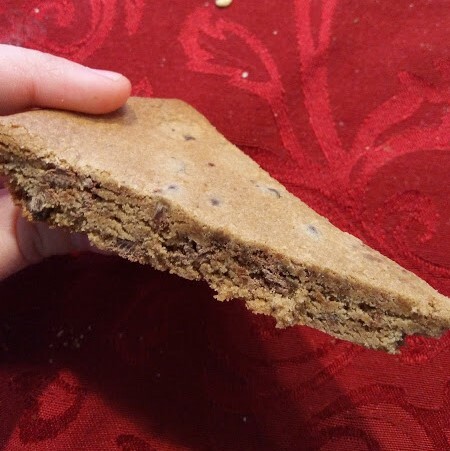 This soft chocolate chip cookie is big enough to share with friends and family..but you won't want to! Otis Spunkmeyer once again surprises me with more NEW delicious treats and I am once again so thankful they have their No Funky Stuff promise! 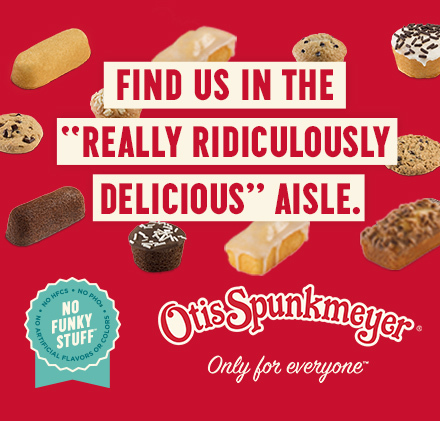 You can purchase all Otis Spunkmeyer treats at your local retailer.